You’re about to face the most financially challenging weeks of the year—the holiday season. 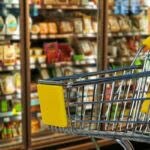 You don’t want to end all dried up after celebrating such a festive period, which is why this is also the best time to get really smart about your spending. How smart? Like never buy anything unless it’s on sale, available through a promo, or can be paid through an installment scheme. 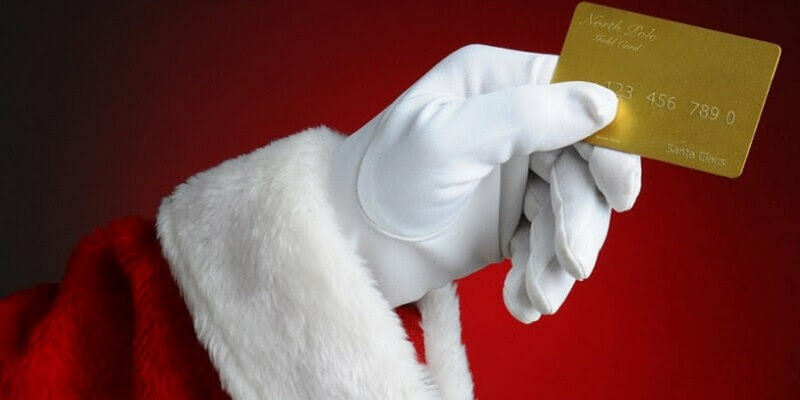 Here now are the credit card deals that can guide you as you shop, dine, and splurge this most wonderful time of the year! Check out the best deals for your future vacation plans at the 2nd Travel Fair. 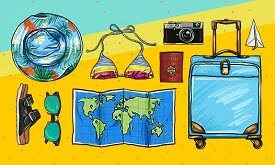 You can get tickets to the travel bazaar, happening from November 4 to 6 at the World Trade Center in Pasay, at half the price when you use your Citi credit card. Bargain-hunters should also check out the buffet of sales at Metro Department Stores. Toys, baby and beauty products, and travel gear are available at 50% off, which you can then pay for at up to three months later at 0% by applying to the Citi PayLite promo. Don’t feel like going out? Make your home stay more enjoyable with unlimited access to thousands of TV shows and movies through iFlix. Avail of a one-year subscription to the streaming service at only ₱654, or half the price, when you use your Citi card to register. 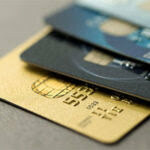 Learn about more promos and discounts by viewing our list of Citibank credit card deals. Whip out your BPI Amore Card at North Park, TGI Fridays, iHop, Gerry’s Grill, and other participating branches to get free food items once you meet the minimum required purchase. Burn all those calories crossing out stuff off your holiday gift list at an SM Store or Robinsons Department Store, where you can enjoy up to six months of real 0% interest on select items. This buy now, pay later promo requires a minimum purchase of ₱5,000. Check out the full range of exciting BPI credit card offers that you can get for this month. Looking to go overseas this holiday season? 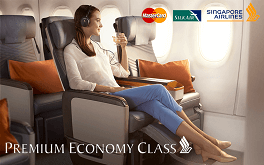 Get a free one-sector upgrade to Premium Economy Class when you book a flight with Singapore Airlines or SilkAir. The promo is available for Singapore Airlines KrisFlyer loyalty program members and for tickets purchased until November 11, with travel period not scheduled later than March 31, 2017. Spend a minimum of ₱2,000 online at Zalora using your Security Bank MasterCard credit, debit or prepaid card to slash ₱400 off your bill. Simply use the promo code POPUP400 when you make your purchase. Do your shopping on a Tuesday and you’ll get an additional 5% off. Pair your latest fashion finds with a new hairdo courtesy of Jing Monis Salon. Cardholders can enjoy 20% off on their Signature Haircut and 10% off on other services. For more information on what else you can get, visit our list of Security Bank credit card deals available this month. Find the best Christmas presents at this year’s Toy Warehouse Sale. Visit Toy Kingdom’s annual supersale at the Megatrade in SM Megamall and get up to 70% off. 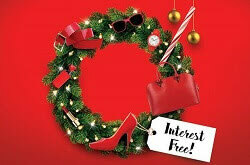 Use your BDO credit card for a minimum spend of ₱3,000 and enjoy two months free of billing at 0% interest. This means that your first installment will only appear on your credit card bill two months after date of purchase and will be payable in three-month installment term. Shop all you want anew, this time with instant rebates, at SM’s 3-Day Sale on November 18 to 20 at SM Cubao, SM Quiapo, SM Makati, SM Harrison, and SM Delgado. 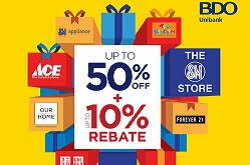 Use your BDO credit or debit card and enjoy up to 10% or 3% rebates respectively. If you’re not free on those days, you have up to November 15 to shop anywhere with your BDO credit card and still enjoy instant rewards. Get free ₱100 gift certificate to Max’s Restaurant, Pancake House, Bench, Toy Kingdom or SM Appliance for a minimum spend of ₱3,000. 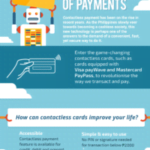 All you have to do is pre-register your transactions (via bit.ly/regBDOMAXPH16 for the restaurants; via bit.ly/regBDOGCT216 for the rest) to get your Promo Code. Present this together with your BDO credit card and valid charge slip to redeem your treat. Holiday season is also traffic season! Navigate through this nightmarish scenario with transportation services GrabCar and Uber. Use your PNB Visa credit card to book three GrabCar rides until November 15 and get ₱50 off your next five rides. 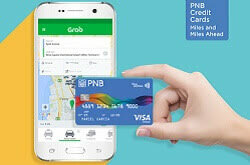 Uber, meanwhile, is offering free and discounted rides for PNB cardholders. Dreaming of updating your tech gear? Do so at the most flexible of terms with PNB’s Free First Month Installment promo. Purchase your new gadgets or appliances at participating stores (Power Mac, PC Express, Anson’s, to name a few) at 0% for 24 months payment term to get your first month free. The promo lasts until January 31, 2017 and requires a minimum purchase of ₱20,000. Look for more PNB credit card special promotions that you can avail of this month.